Cutting the Cord: Whats on the TVs Now? I have a Samsung Smart TV in the living room, I assumed this would be the easiest but the DirectTVNow app isn’t on it so I needed to add some other device. Since I had the new AppleTV 4K this was the logical place for it. I wanted to be able to control it all just like I had in the past so i hooked everything up and reprogrammed my Logitech Harmony Hub. This let me turn everything on from my Amazon Echo as well since the Harmony Hub is configurable to it. I did have to factory reset the hub however but that could have been the combination of changing Wifi and lots of configuration changes. It really was pretty simple and lets us use the Apple TV or the Smart TV although its pretty much always on the Apple Now. This one should also have been simple, I have a newer generation Vizio however I do not have a Harmony Hub in here and had been using an older Logitech Harmony non IR remote. This meant that I could not control the Apple TV 4th Gen that I moved in there. I found out thanks to my friend Nick over at DatacenterDude.com that he was able to turn his TV on and off from sleep mode with his Apple TV remote. I looked into this a bit and it just requires you to turn on CEC on the TV and find the device. Keep in mind that most TV have this but many of you went a little cheaper have it disabled and you cant use it. I was lucky and it works great. I simply hold down the TV icon on the remote and it puts everything to sleep and when I click on the touchpad it wakes up again. I expected this to be the hardest since its a small, old and cheap TV but it had an HDMI port and I had a Amazon FireStick I could hook to it. This worked great to access the apps and watch things but I ran into the problem that I did not have CEC. 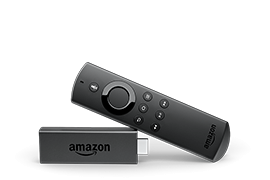 After a little searching I found a universal remote that clips on as a replacement to the back of the FireStick remote, it was on Amazon (of course) This did the trick, now I was down to a single remote in the spare room and it was easy for guests to navigate. I am combining these two because I only need one at a time and the requirements seemed close. In the office it was easy, I would just connect my laptop to my larger monitor, I can login to the DirectTVNow website and I can view TV. The extra challenge was when i was traveling. I have tried things like taking an AppleTV but they didnt work at hotels that required a website login. This is where the new FireStick is amazing. Anytime you are at a hotel you simply connect to their wifi and if you need the website login, then it will pop up and allow you to enter your required info, then you are online. It is small as well and will power off the USB on the back of the TV.